This weekend, Michael Vick scored some touchdowns in Atlanta to mixed reviews. Some cheer for his present performance and some continue to jeer at Vick for his actions several years ago that involved despicable acts of animal abuse. Now, everyone must expect this blog to be an angry tirade against Vick for his actions, but, in fact, it may come across as something completely different. 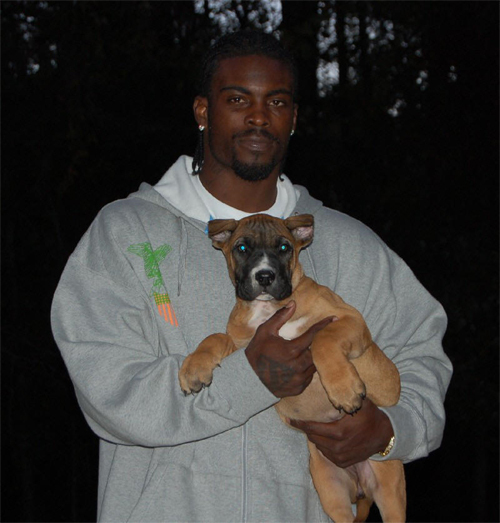 Now, just so I dispel the ambiguity of this blog straight away, Micheal Vick’s actions were downright unconscionable. I certainly have a problem with his actions, but as far as I’m concerned, he served his time for the crimes he was found accountable for and is now free to live his life with the shame of what he was convicted of. I can’t imagine the soullessness that one must have to torture until death any animal, much less a domesticated “best friend” and companion. However, I try to not be preachy with the whole vegetarian thing, I really do. But I had a whole hell of a lot of a hard time biting my tongue over the last few years whenever the whole Vick subject came up. And, it came up a lot seeing as I work for the NFL. This isn’t a evaluation of Michael Vick, or what the NFL did to him, or what the law did to him, or what PETA did to him, or, especially, what he did to those dogs. Those things are all records of fact and my opinion has little effect on them now that they are history. I just don’t see how rational meat-eaters couldn’t at least see that their condemnation of Vick was at least a tad bit groundless, if not shamelessly hypocritical. It’s not as if these people, and by these people, I mean almost everyone, don’t know that meat comes from the slaughter of defenseless animals raised in deplorable conditions. Okay, some of them choose to not know the details, and I find that even more conveniently ignorant. Now, Peta-types usually pitch in here with the fact that Einstein was a vegetarian, and carnivores counter with the fact that Hitler was too. None of these arguments make any empirical sense. I’m not making that argument, nor any other argument based on health, effects on global warming, or compassion to animals that feed our endless gluttony. I shared in the condemnation of Michael Vick. But as millions of Americans race off to work or school, and grab a $1 Double Cheese burger, or a Bacon Classic, or a couple of Hard Tacos… When night after night, families enjoy their small side salad with a chunk of beef, or pork, or chicken (somehow called “poultry” as if that makes it not an animal)…when poorly paid immigrants lose a limb and have no recourse to their employer…WE can only blame ourselves for the same level of cruelty that we accused Vick of having. WE should have all been pointing our fingers of shame at ourselves. 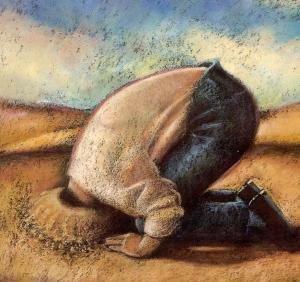 You don’t have to stop eating meat, but I’m asking you to stop burying your head in the sand.